Egyptian archaeological missions in Upper Egypt have made two rare discoveries, unearthing a marble head of Roman Emperor Marcus Aurelius in Aswan and an unusually positioned Osirian temple in Luxor. 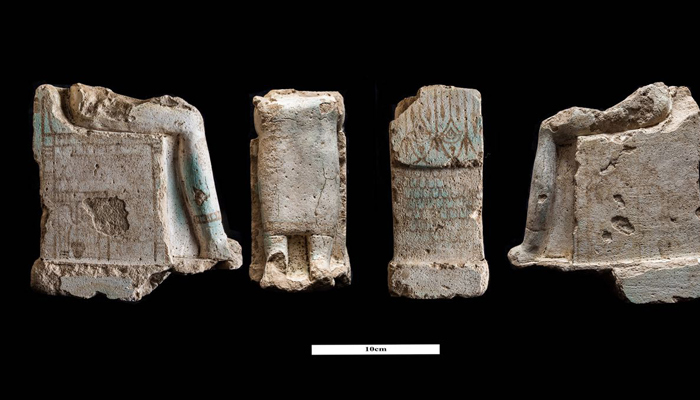 The Luxor discovery was made at the southern side of Karnak Temples’ tenth pylon, with archaeologists revealing architectural elements of a Late Period shrine dedicated for god Osiris-Ptah-Neb. The well-preserved find consists of an entrance, foundation remains, columns, inner walls and ruins of a third hall located at the eastern side. Paving stones from the shrine floor were also uncovered, along with other extension structures built during a later period. 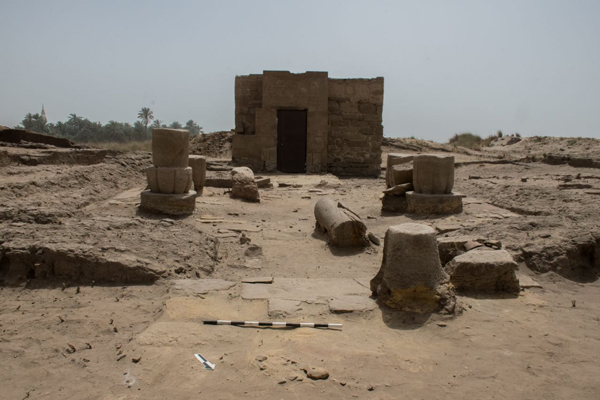 Essam Nagy, head of the archaeological mission, described the discovery as important because the shrine is not located on the eastern or northern side of the Amun-Re temple in line with the ancient Egyptian belief. Rather, it is on the southern side, pointing to the importance of the Osirian belief at that time. Also uncovered were a collection of clay pots, remains of statues, and a winged frame relief decorated with offering tables bearing a sheep and a goose. 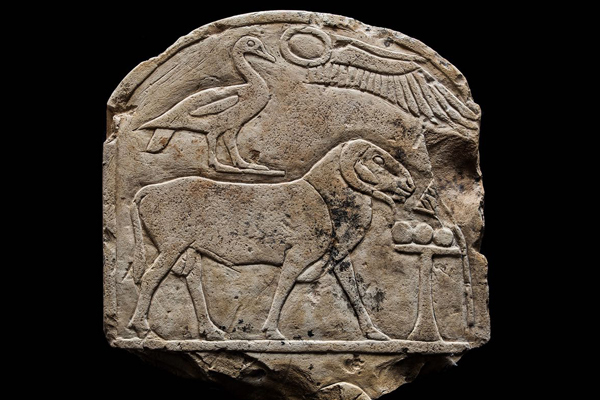 The relief, Nagy said, bears the name of kings Taharka and Tanut Amun, the last ruler of the 25th Dynasty. 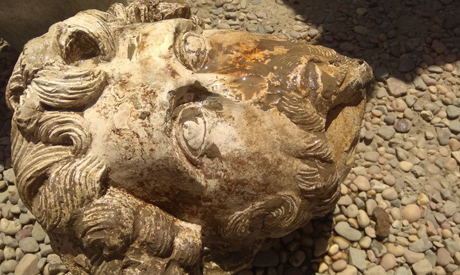 In Aswan, meanwhile, an Egyptian mission working to reduce the subterranean water level at Kom Ombo Temple uncovered a marble head of the Roman Emperor Marcus Aurelius. Aymen Ashmawi, head of the ancient Egyptian Sector at the Ministry of Antiquities, told Ahram Online that the head depicts Emperor Aurelius with wavy hair and beard. He describes the head as "unique", saying that statues of the Roman ruler are rare. The head is now in the archaeological store, awaiting restoration and preservation work.